LEXTEK MOTORCYCLE PRODUCTS. Code: HBE002. Scottish Highlands and Islands, Isle of Man, Isle of Wight, Isles of Scilly, Northern Ireland,Channel Islands. WEIGHTED HANDLEBAR ENDS. Colour - BLACK. We work very hard to provide the best service possible and want you to be happy with your item and our service. CNC Machined Aluminium. Make Supersized Seem Small. Slim Black Bar Ends. Universal Fitting. Expanding Rubber Insert. Allen Key Included. Steel 6mm Countersunk Allen Head Fixing Bolts. Silver Bar Ends. Weight 50g Per Pair. Allen Key Included. Steel 6mm Countersunk Allen Head Fixing Bolts. Anodised Plain Silver. This handle bar end plugs made of high quality heavy duty CNC machined solid billet aluminum with durable anodized coating finished. And it will make your motorcycle more eyes catching and fashion. It is deserve to buy. 1 Pair of New Bar End Repair Bolts. Features: Aluminum alloy handlebar grip end plugs. Easy to install on your motorcycle. Material:Aluminum alloy. Due to the light and screen difference, the item's color may be slightly different from the pictures. Red Motorcycle Bar End Weights. Motorcycle Bar End Weights. Finished in Carbon Look. 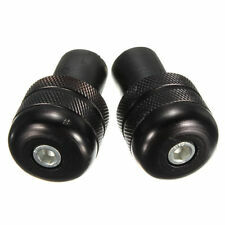 Barkbusters 14mm Bar End Insert Kit (A Pair). These will suit most Renthal handlebars. Includes 5mm hex key. ✔️Friendly, knowledgable staff on hand! OXFORD BARENDS 3. standard 22mm dia. Aluminium weighted bar ends for. - Includes 5mm hex key. Add To Favorites. Pair Suzuki GSXR Black Bar Ends With GSXR Logo in Silver. 1 Pair of New GSXR Black Bar End Weights. Black Finish With Silver GSXR Logo. Includes Stick On Cap To Cover Bolt Head Once Fitted. CNC Machined Aluminium Bar Ends. CBF600 2004-2007. CB600F Hornet 1998-2007. CB900F Hornet 2002-2007. Honda Black Bar Ends. Make Supersized Seem Small. CNC Machined Aluminium Bar Ends. Will Fit All Honda. Supplied Complete With Allen Key. 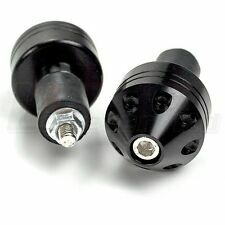 R&G Racing Bar End Sliders for Renthal, LSL Bars(BE0023BK). Protect your bars and levers with our great little bar end sliders / protectors. Also suit the Ducati 848 2008 > on, Diavel 2011 > on, Monster 1200 S 2014 > on. 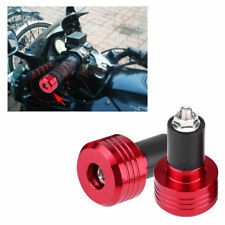 Motorcycle Handlebar Bar End Insert Repair Kit For Hollow Bars Rubber Inserts. 1 Pair of New Bar End Repair Bolts. The R&G range of bar-end sliders is growing fast and they can be fitted in seconds. They are designed not to snap off on impact and produced to protect your bar end and upper fairing/screen in most crash situations. IT'S NATURAL THAT A WORLD LEADING MANUFACTURER ALSO LEADS THE WORLD AT THE VERY TOP LEVEL OF SPORT. PLASTIC BAR END PLUGS TO PUSH FIT INTO RENTHAL BARS. GENUINE ITEM. Weight 50g Per Pair. Allen Key Included. Steel 6mm Countersunk Allen Head Fixing Bolts. Anodised Plain Silver. SV1000 2003-2006. SV650 2001-2010. We do also have listed GSXR specific bar ends listed. GSXR600 1992-2014 exclude 1997-2000. GSXR750 1996-2014 exclude 1996-1999. Black Bar Ends. 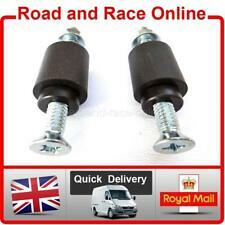 Steel 6mm Allen Head Fixing Bolts With Expanding Rubber Insert For Hollow Bars. 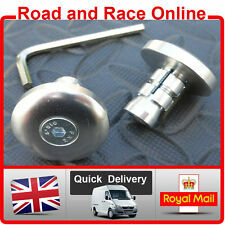 Will Fit Most Honda CBR Models 1987 Onwards With Standard Bars Fitted. Honda CBR Black Bar Ends. Black Anodized Finish With CBR Logo. CBR 400 RR RRL-RRR NC23/29 1986-1994. CNC Machined Aluminium Bar Ends. CB1300 2005-2007. GL1800 2001-2010. CNC Machined Aluminium Bar Ends. Supplied Complete With Allen Key. Weight 122 Grams Per Pair. Steel 6mm Allen Head Fixing Bolts. CBR900RR Fireblade 1992-2003. CB900 Hornet 2002-2007. Ninja Logo Bar Ends. Black Anodized Finish With Ninja Logo. CNC Machined Aluminium Bar Ends. ZX600/ZX6/636/ZX6R/ZX6RR/ER6/650R. GPZ600/GPZ750/GPZ900/GPZ1000/GPZ1100. Round bar end weights. Two sizes available; 13mm and 18mm. 13mm & 18mm models. Round bar end weights. This applies to all to our products. 6 colour options. Key Features Ending Soon. Motorcycle Bar End Weights. Finished in Silver. 13mm & 18mm models. Round bar end weights. Round bar end weights. 6 colour options. KEY FEATURES . Specifications: Material: High Quality Billet Aluminum Color: Same as picture show Package Include: 1 Set of Bar Ends Instructions not included Fitment: For Suzuki GSXR 600 1992-2014, For Suzuki GSXR 750 1996-2014 For Suzuki GSXR 1000 2001-2014 For Suzuki GSXR 1100 1989-1998, For Suzuki Hayabusa 1999-2011, For Suzuki Katana 600 1989-2008, For Suzuki Katana 750 1989-2008, For Suzuki SV650S 2001-2008 (not SV650), For Suzuki SV1000S 2003-2006 (not SV1000), For Suzuki TL1000S 1997-2001, For Suzuki Bandit 1200 1997-2000. BANDIT 1200 1997-2000. CNC Machined Aluminium Bar Ends. Steel 6mm Allen Head Fixing Bolts. Weight 128 Grams Per Pair. TL1000R 1998-2003. TL1000S 1997-2001. GSXR1300 1999-2011. Flush-fitting universal bar end weights. Includes reducer sleeves; fits 18mm and 13mm bar inners. Flus-fitting universal bar end weights. Available in 5 colour options. KEY FEATURES . Will Fit Most Honda CBR Models From 1987 Onwards With Standard Honda Stepped Inserts Fitted In The End of The Handlebars. CNC Machined Aluminium Bar Ends. Weight 170 Grams Per Pair. Weight 50g Per Pair. Allen Key Included. Steel 6mm Countersunk Allen Head Fixing Bolts. Anodised Plain Gold. USED BARKBUSTER STORM HANDGUARD KIT. LOW START PRICE. MINOR MARKS COST OVER £100 WAS FITTED TO MY TDM900. New listingKTM R&G Bar Ends. Fit KTM 690 Enduro but should Fit Different Makes/Models. R&G Bar Ends. Get Free Quotes. Universal fit most of motorcycles and scooters with 22mm handlebar, such as for Honda, for Kawasaki, for Suzuki ,for Yamaha, etc. Made of high quality CNC machined solid aluminum, anodized coating finished, anti-rust and anti-corrosion. Color ：Black. So that we can resolve the problem for you after confirm the condition from the pictures. #What I get is not what I want.Few of this case happen but if you get a wrong item. We will replace with the right one for you. Renntec Motorcycle Bar Ends Weights Gold. Add style to your motorcycle with these Renntec bar end weights. All Renntec products are designed and manufactured in the UK. Bar end weights are designed motorcycle specific to ensure the best fit for your motorcycle. High quality, durable, easy installBest replacement for the standard bar end weightsCan Eliminate Vibration, rustproofMaterial: AluminumColor: Random Color (Blue/Black/Purple/Silver/Gold)Size: About 55mm longFit for:Fit for 22mm bars13mm rubber expands to around 18mmPackage includes:2 x Motorcycle Bar EndNote: Light shooting and different displays may cause the color of the item in the picture a little different from the real thing. The measurement allowed error is /- 1-3cm.The item can only be sent by random, you can not choose one of them. Thanks. UPC 191466421154 EAN 191466421154 IABN 191466421154 MPN Does not apply Brand Unbranded Manufacturer Part Number Does not apply. These bar end protectors have been specially developed and shaped to suit the looks and needs of the BMW F800S, F800ST, R1200RS and the R1200S. The R&G range of bar-end sliders is growing fast and they can be fitted in seconds. KTM 65 XC 2008. KTM 85 XC 2008-2009. KTM 105 XC 19/16 2009. KTM 105 XC 2008. KTM 150 XC 2010-2014. KTM 200 XC 2006-2009. KTM 144 SX 2007-2008. KTM 50 SX Junior 2007-2008. BMW S1000XR (2015) R&G Racing Bar End Sliders. These bar end protectors have been specially developed and shaped to suit the looks and needs of the BMW R1200GS & BMW S1000XR (2015). WE ARE ALWAYS HAPPY TO HELP YOU. Bar End Sliders for the Suzuki GSX-S 750 (2017) (BE0110BK). Suzuki GSX-S750 2017- models. Our range of bar-end sliders is growing fast and they can be fitted in seconds. They are designed not to snap off on impact and produced to protect your bar end and upper fairing/screen in most crash situations. ONE PAIR Handlebar End Sliders. Our range of bar-end sliders is growing fast and they can be fitted in seconds. 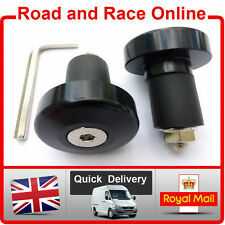 Replaceable Nylon Bar End Sliders. These specially machined and weighted bar-ends from R&G have a high quality look and finish. They are designed not to snap off on impact and produced to protect your bar end and upper fairing/screen in most crash situations. R&G RACING PAIR BAR END PROTECTORS. WE ARE ALWAYS HAPPY TO HELP YOU. Our range of bar-end sliders is growing fast and they can be fitted in seconds. They are designed not to snap off on impact and produced to protect your bar end and upper fairing/screen in most crash situations. 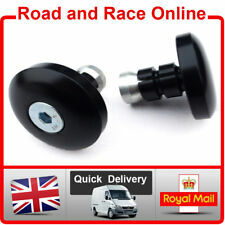 Universal Motorcycle Round Bar End Weight Plugs Sliders 13/18mm Black 22mm 7/8"